An old wine in a new bottle is not always a bad thing, especially if the wine is good. 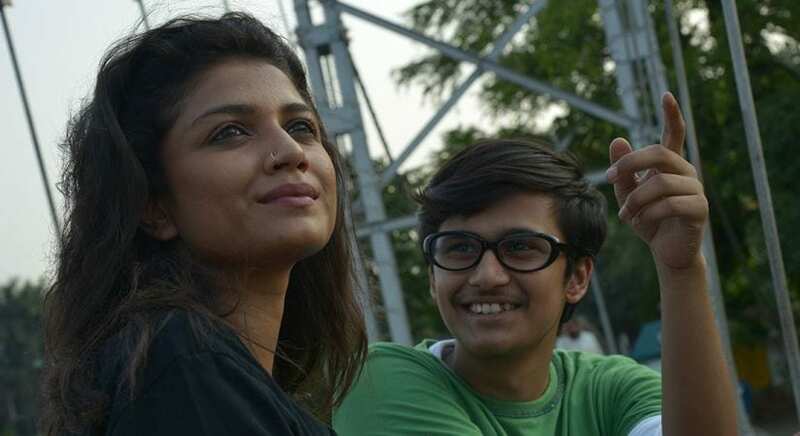 Mainak Bhaumik’s latest film Generation Ami is a story that has nothing new to offer. We have heard this story literally dozens of times. In fact, the film had all the probability of going horribly wrong. But it has such a strong message and is told with such brilliant flair that it keeps you engaged from start to finish. All this, without having anything new to offer, from the perspective of story. Nine out of 10 teenage boys and girls in India (and perhaps 10 out of 10 in Bengal – as the film itself claims) will identify with the plight of Apu in Generation Ami. Apu is a boy in his teens living under constant fear of his controlling parents who love him, but are strict disciplinarians. As a result, Apu leads a stifling life and is low on confidence. When a young and rebellious elder cousin named Durga comes to live with his family, Apu is deeply inspired by her uncompromising and unapologetic attitude towards life. 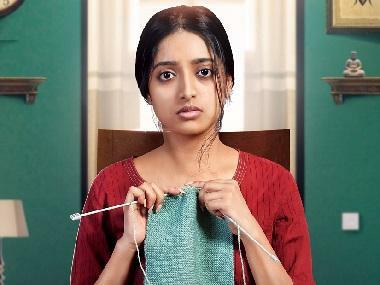 Nursing wounds of her own and suffering from clinical depression, Durga finds a friend in her little brother and the two form a deep bond till one day, Apu finally gathers the courage to stand up to his parents’ constant criticism of his way of life. What really worked for me in the film are the performances. Sauraseni Maitra and Rwitobroto Mukerjee are absolutely marvellous as Durga and Apu respectively. Drawing of parallels to the other, more famous brother-sister duo of the same name is unavoidable, of course, and I am sure the director is aware of this. But what is really inspiring to see is that both Sauraseni and Rwitobroto have managed to carve out identities of their own – those that are independent of Bibhutibhushan’s Apu and Durga. Sauraseni has an extremely expressive face and marvellous screen presence. She is, what is known as a 'natural actor', effortless and gracious. Rwitobroto seems to have had a lot of experience on the stage, so he acts with his voice more than he does with his expressions. They flaunt two different styles, both leading to wonderful outcomes. They are two promising young actors of the next generation. It is good to see that the future of our cinema is in safe hands. Add to this the absolutely flawless performance of one of my favourite contemporary actresses in Bengali cinema – the ever charming Aparajita Auddy. It is hard for me to describe her performance, simply because it does not look like a performance at all. It almost seems like she is Apu’s mother in real life – and that she has always been Apu’s mother. 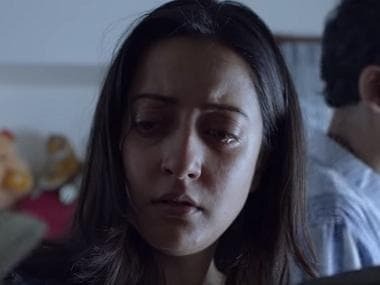 When you see her slapping her son around for the fear that his negligence might lead him to fail his Chemistry paper, would you believe that this is the same lady who was so gentle with kids in this year’s other remarkable film Haami? Yes, that is what a truly good actress does – she completely vanishes within the role that is given to her, leaving no trace of her real self. She becomes the character. It is a sheer joy to see Auddy on screen. She brings in an extra spark to the film. Another brilliant performance is by Shantilal Mukherjee, as Apu’s father. The quintessential middle class Indian dad who is constantly trying to throw his weight around the household in order to hide his own insecurities and failures in the big bad world outside, Mukherjee is the well-meaning but flawed father whose greatest fear is that his child would have a fate that is similar to his. His tough exterior is just a facade, an image that he wishes to project onto his son, hoping that the boy will be tough too. Life has taught him that there is no room in this world for the timid. The writing of the film is quite nice too, although there are several scenes in which the writer-director has clearly succumbed to the desire of overstating even the simplest of messages, or communicating more than a shot can (or should) hold. In the second half of the film, in particular, there is a distinct change in mood that does not gel well with the events that had unfolded thus far. But overall, in totality, it is a well-written script. The music is another salient feature, with the title track, in particular, standing out. Generation Ami is not a perfect film. But I am always willing to overlook the odd chinks in the armour if the battle is won. Mainak Bhaumik should be proud of his cast, who managed to turn a story that we have heard on numerous occasions before into such a fascinating and engrossing tale – merely by dint of their brilliant performances.